Making the move to purchase a hard copy planner is causing me to… plan for it. I’ve been researching how to get the most out of my planner, especially when using it along side my digital calendars and list-makers. One of the biggest realizations I’ve had is that I can upload a photograph of my planner page to Evernote and it’s still totally searchable! Once I make some improvements to my handwriting, that is. But I also want my Fauxdori to be as pretty on the inside as it is on the outside. And I want to consider dipping my toe into art journaling. I need supplies! Stickers! Paint! Stamps! So I did some Small Business Saturday shopping last weekend. The first place we hit was Reddi-Arts. Since Gainesville recently lost it’s last remining art supply store, Reddi-Arts was a welcome sight. The place is a maze of art supplies *and* art! It was refreshing to simply walk the aisles, browsing. Dammit, I meant to look at rulers and I forgot to! But I did pick up the pictured items that were on my list. Yes, I tried *all* of the pens. It was hard to choose! 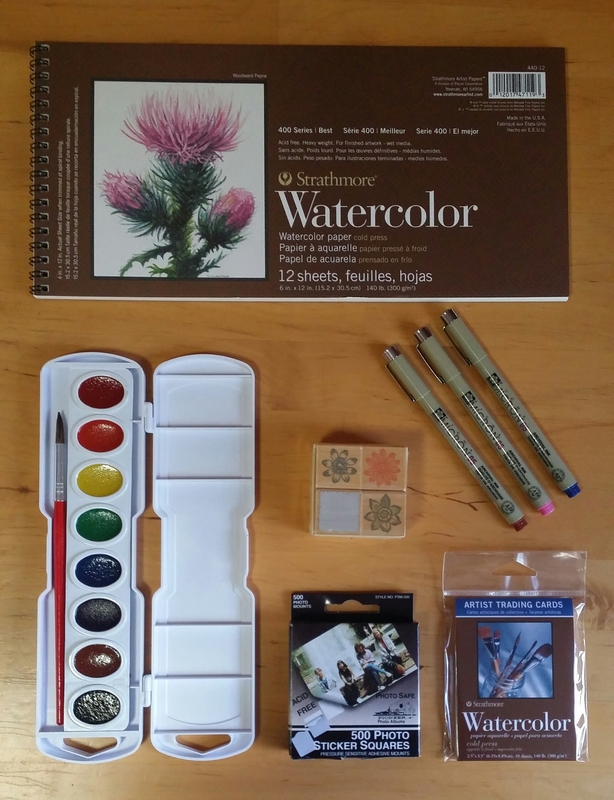 I’m especially excited about the watercolor supplies. The staff was quite friendly and offered help at all of the appropriate times. Then we drove just a scootch down the road to The Write Touch. I was afraid that they may only have wedding invitation suppllies, but I ended up having to make a point to take it easy, because I wanted to go home with *everything* in this shop. They carry stationery, leather bags and folios, planners, Filofax, antler-handled desk accessories, fancy fountain pens, washi tape, and… I can’t even say what else. All kinds of… stuff. Cool stuff! Stuff with curse words on it! I can’t wait to go back and see what else they have. I know I missed lots of things. And here’s what I went home with. 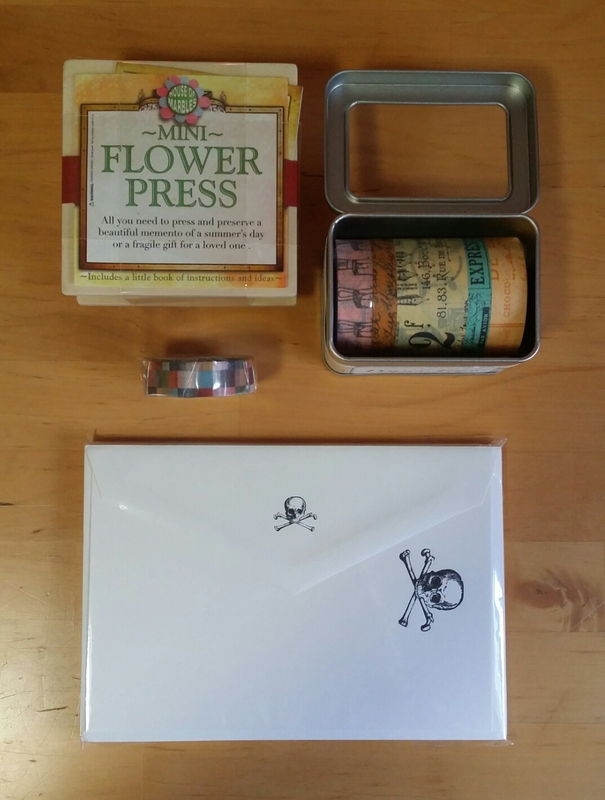 The skull and crossbones stationery was a no-brainer, but the flower press was an impulse buy. 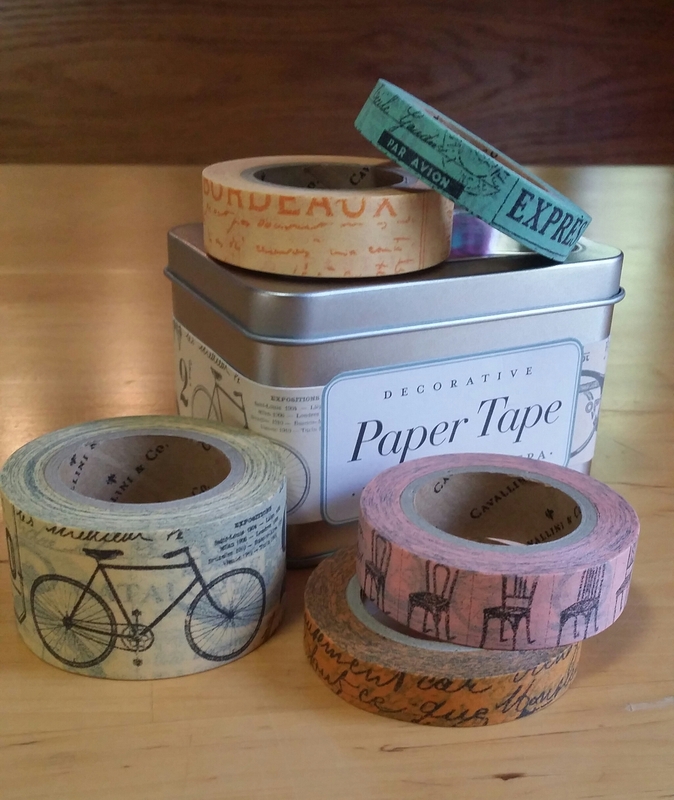 The washi tape set was my favorite purchase. The rolls are so big I’m going to have to share them with friends! The Victorian feel of the designs is going to mesh perfectly with my new planner. When it arrives. If it ever arrives. I know it will arrive! But I’m anxious. So very anxious. I love your Washi. I have one of those and some bicycle washi that is very similar but it’s not as wide. I tend to use thin washi in my filofax because that’s what works best — moving to primarily bullet journaling will allow me to use bigger sizes more often and in more ways.